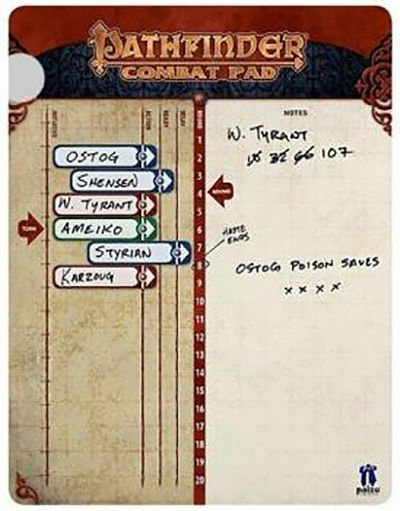 Never miss a turn with the Pathfinder Combat Pad initiative tracker! Usable with any roleplaying game, this wet and dry erase board includes magnets that stick right to it! List the names of heroes and foes on the magnets using a wet or dry erase marker, then place them in initiative order. When the order changes, simply slide the magnets to their new places. Take the uncertainty out of battle with the Pathfinder Combat Pad!